Coronado's Gluten Free Pantry has found a niche in providing gluten-free and other allergen-free baked goods from breads & rolls to bagels, pie crusts and wedding cakes. This was back in 2010 when blogs and online recipes were not as prevalent as they are now. She talked to her chef friends to learn more about baking and discovered many new grains she had never even heard of at the supermarket. She purchased a grain mill and began grinding her own flours and teaching herself how to mix them, so that her recipes would have the same texture and flavors as regular recipes. She got positive feedback from family and friends as she began serving her gluten free cakes and other baked goods. Some of her friends had other allergies, such as eggs, nuts, and dairy, and she soon perfected recipes to accommodate those needs and became the “go to” for allergy free breads, cakes and desserts. This outstanding gluten free succulent-themed cake was created by Lisa at Gluten Free Pantry. Her background is in global leadership but knowing that she wanted to take her gluten free baking to the next level, she took a month-long course at the Carpigiani Gelato University in Bologna, Italy, studying cake decorating, chocolate and gelato making. She learned how to prepare and clean baking tools and pans to keep them allergy free. Shortly after, she enrolled in the Swiss School in Rome and completed her MBA in Entrepreneurship. For her thesis, she studied the gluten free industry. In 2015, Roanna’s husband Ken’s job with the military sent them to Coronado for his final tour. Roanna applied for a Cottage Food Class B license and began baking out of her home and selling wholesale to restaurants, going to farmers’ markets and making birthday and wedding cakes. One of her first clients was Big City Bagels in Hillcrest and she worked with the owners to create a New York style bagel that was gluten free with the same texture and taste as a regular bagel, and it was a hit. She also started selling gluten free items to Communal Coffee, and the iconic Holy Matcha. 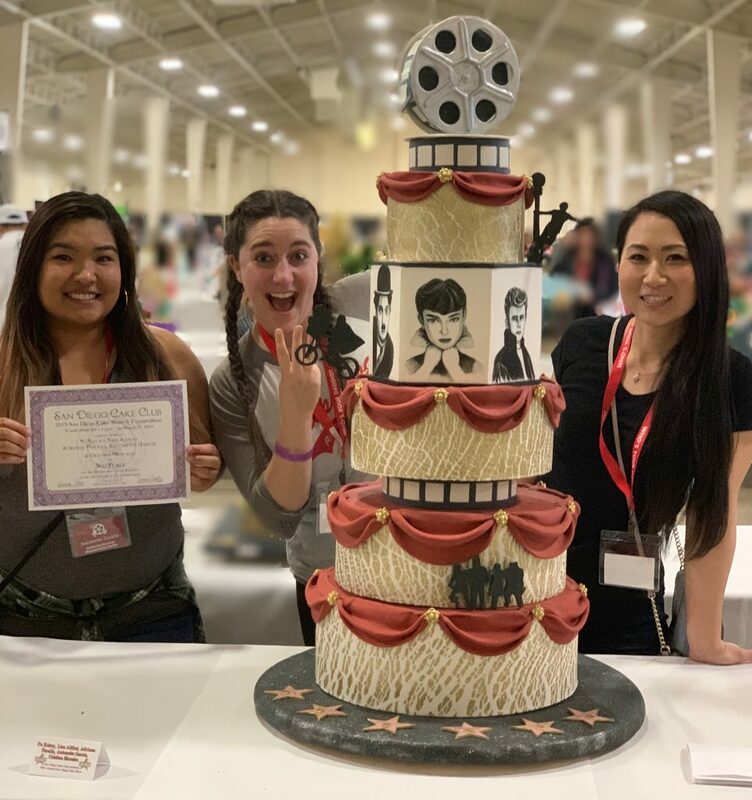 This “Red Carpet Cake” was a winner at the San Diego Cake Show and a collaborative effort by the Gluten Free Pantry team, pictured left to right, Antonette, Lisa and Yu; not pictured Adriana and Cristina. 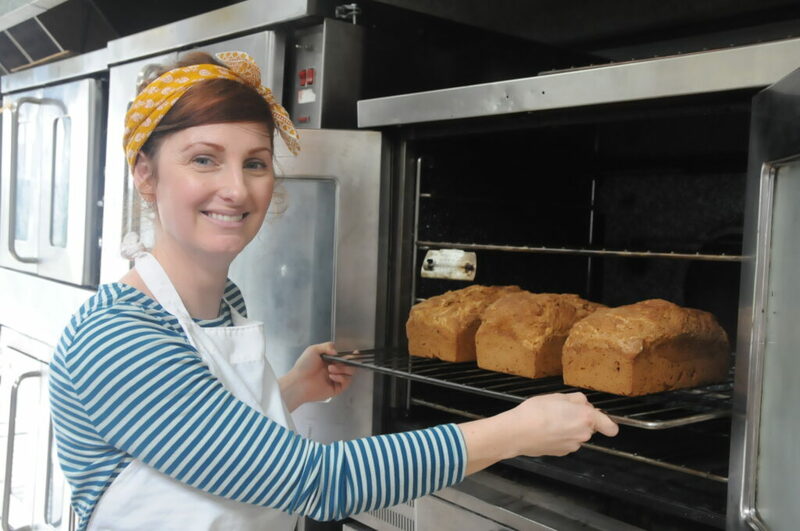 She went from baking in her home oven with one part time helper to buying a production bakery in February 2018 and having learn how to navigate commercial ovens and hire staff. She distinctly remembers when Antonette, who worked for the previous owner and stayed on with Roanna, had to show her how to turn on the ovens. She’s learned to manage staff and has found success hiring people who know more than she does about certain areas. For example, her vegan pastry chef Adriana helped her perfect her pie crust recipe as well as other vegan pastries. One of her decorators, Yu, studied art, painting and pottery in her native Japan, and is an amazing cake artist. 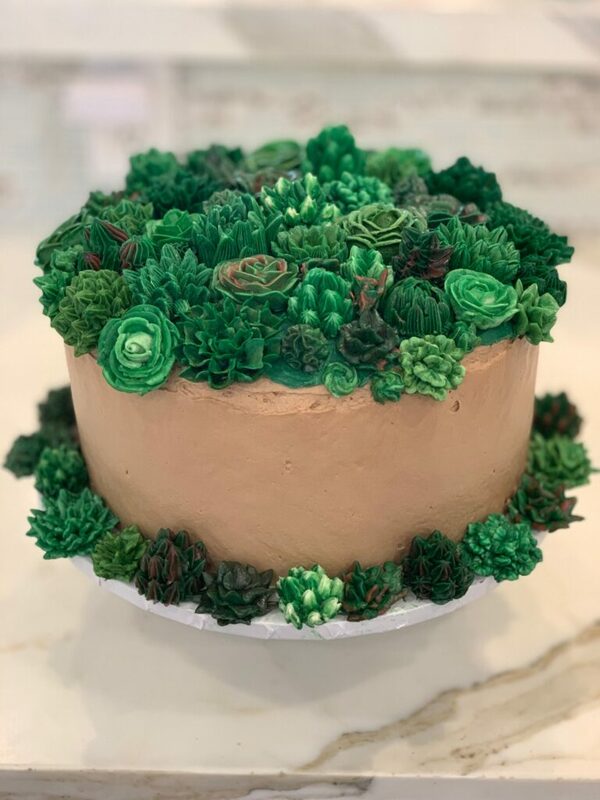 Lisa, who previously worked for Charm City Cakes with Duff Goldman of ‘Ace of Cakes’ fame, has outstanding creative decorating skills. Roanna has put together a team where each person brings their strengths and works together as a collaborative group, adding their skill set to make the products the best they can be. They often have friendly bake offs in their kitchen. “I am incredibly proud of our multicultural kitchen. One of the things I learned from studying entrepreneurship is that entrepreneurs fail when they surround themselves with people similar to themselves. I have made it a point to surround myself with people who I deeply respect, who are wildly talented and who are very different from me. Birgit is our accountant. JD and Jenn handle our deliveries, dry mixes and dishes. Antonette, Cristina and Adriana handle most of the baking, while Yu and Lisa cover decorating. Between us, we speak five languages, have frequent dance parties, and know the best places to eat. These incredible members of the Gluten Free Pantry make coming to work fun,” she comments. 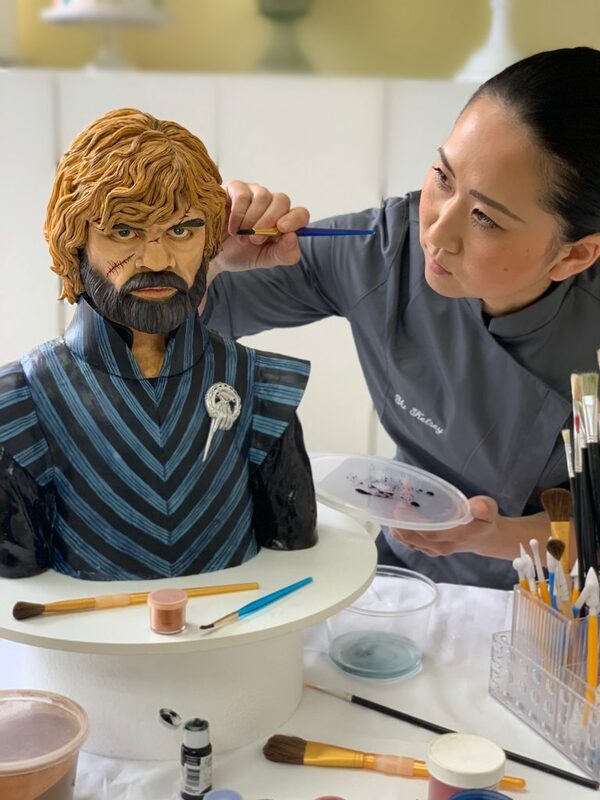 Yu, one of the Gluten Free Pantry decorators, took first place for her “Game of Thrones” themed cake at the San Diego Cake Show. The new bakery came with a large list of wholesale customers who did not require gluten or allergy free foods. Roanna is proud that she was able to work with each client and transform more than 60 regular recipes to gluten free and not lose a single account. 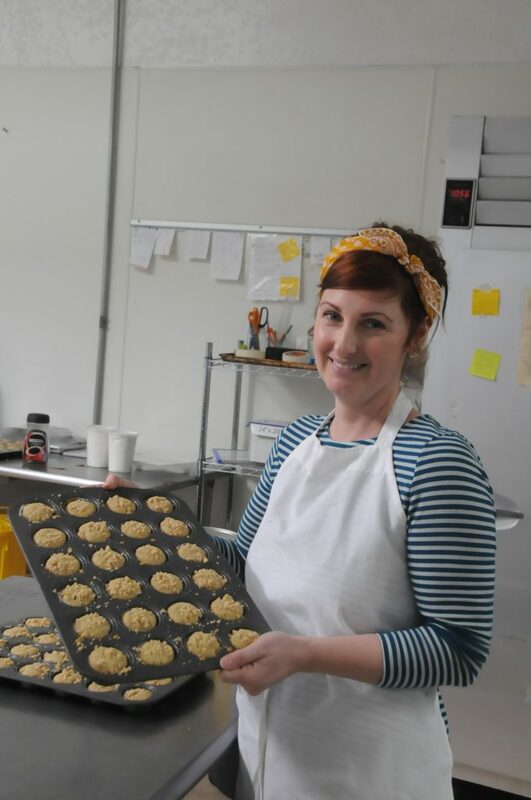 Her biggest hurdle initially was converting her new bakery to an FDA-certified gluten free facility. It was a months-long process with every nook and cranny, mixer, fridge, freezer, and surface needing to be sterilized. There is not one basic flour mix to make everything, so she uses 15 different flours and a host of ingredients, including starches and flax to name a few, to combine for the perfect mix for each recipe. Creativity is key. Adriana and Roanna found that aquafaba – the liquid from a can of garbanzo beans – works like an egg in vegan bagels, cinnamon rolls and dinner rolls giving stellar texture. However, aquafaba is not easy to source. When BCB Café wanted vegan gluten free bagels, Roanna had an idea. Since BCB makes their own hummus, she organized with them. Now, instead of discarding it, they freeze the aquafaba and weekly send over a supply to use in creating the vegan bagels. 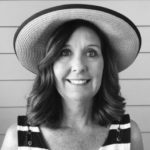 She has recently gotten together with other gluten free bakers and bloggers to write articles showing restaurants how to create tasty gluten free menus, rather than diners just getting a choice of salad or substituting lettuce for a hamburger bun. “Statistics show that if given a choice, 30 percent of diners will select gluten free or allergy free options. Allergy free foods are not well represented on the Food Network or other cooking outlets, so we want to educate the food industry to the possibilities,” says Roanna. She points to the popularity of these items, citing that even Taco Bell recently came out with a vegan taco in response to growing demands in the market. For the future, she wants to start teaching cake decorating and pastry making classes at her bakery and on location. She reminisces back to looking into a Parisian bakery window filled with delectable pastries and thinking that there was nothing she could eat. When she asked the proprietor if any of the pastries were gluten free, he answered, “Mademoiselle, everything is gluten free. Here, you can eat it all.” “I want to try and make gluten free and allergy free foods more accessible and attractive and change the outlook in San Diego.” Her passion is infectious and fueled by her son’s and her own allergies. I also personally understand the challenge of finding delicious gluten free foods, with both a husband and son who eat this diet to combat stomach issues. All of her products are 100 percent gluten free and many can be made vegan and dairy free. She offers a variety of products including sandwich breads, dinner rolls, cupcakes, donuts, muffins, banana bread, cookies, crackers and bagels. She also does specialty cakes and cupcakes. Her best sellers are lava cakes, cheesecakes, donuts, bagels and banana bread. “There should be no restriction on beauty or taste in gluten free foods whether it be your morning muffin or your wedding cake,” she emphasizes. 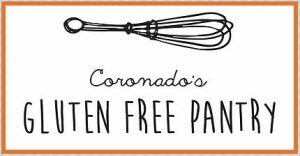 To learn more or place orders, check out their Facebook or Instagram page and subscribe to their mailing list at https://www.coronadosglutenfreepantry.com/. Subscribers receive the weekly specials every Monday and can order as needed by Tuesday for Friday delivery. Their gluten free and allergy free cakes are also available at Jensen’s Foods in Point Loma and Seaside Market in Cardiff.